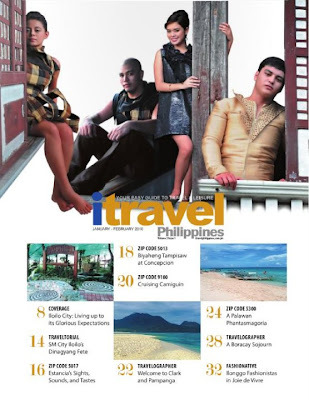 Paper Dolls Dream: My iTRAVEL Philippines Experience. 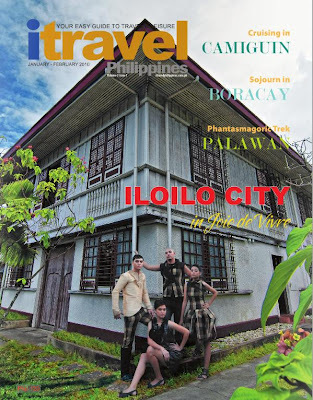 January-February Issue, Iloilo City Cover. I was given this very huge opportunity to be featured in one of the premier magazine in the country. 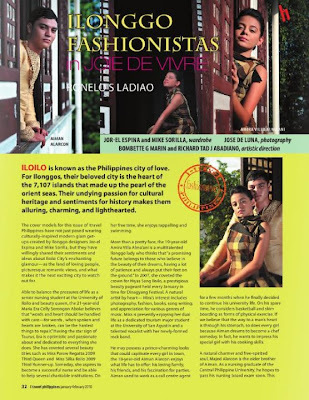 Featuring Iloilo's glorious heritage. Our magazine cover photoshoot was located at Sinamay Dealers Villa Arevalo, Iloilo City an ancestral house where banana and pineapple fiber cloths are loom-woven. The photos were taken by pro photographer Mr. Jose de Luna. It was a fun & wonderful experience, meeting awe-inspiring people in the industry. Thank you so much iTRAVEL & More Power!